Standard Bank Century City achieved a 4 Star – Green Star SA Interiors v1 As Built Rating in the 1st assessment round, demonstrating ‘Best Practice’. 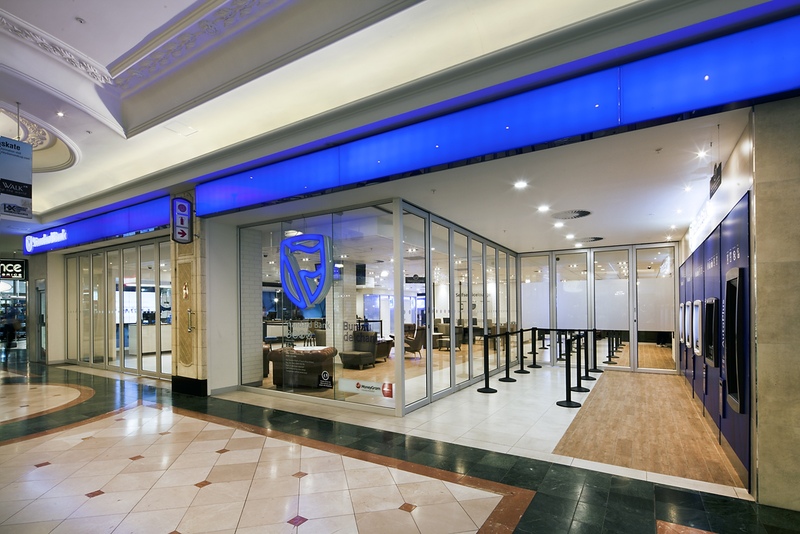 The Standard Bank Century City branch is the first to achieve an Interiors v1 certification. The branch is located within the Canal Walk Shopping centre in Century City and therefore has access to a number of local accessible, high quality amenities. Standard Bank has gone the extra mile by continuously displaying sustainability initiatives implemented in the fitout as learning resources for users and visitors. The branch displays energy and water consumption data, as well as initiatives to encourage environmentally responsible steps in the foyers. Recycling is encouraged through informative posters on the designated bins to demonstrate waste types that can be recycle in the branch. Innovation points achieved for Hazardous Materials Survey and Universal Access.